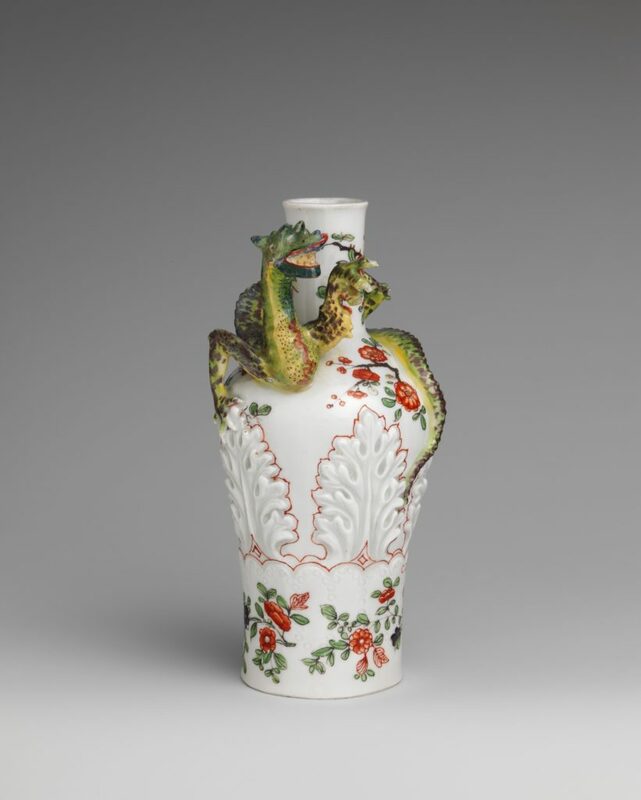 These Gallery images will show you some of the most spectacular items created by French and Continental porcelain factories over two centuries. Hover over the images to learn more and click to see a larger version. 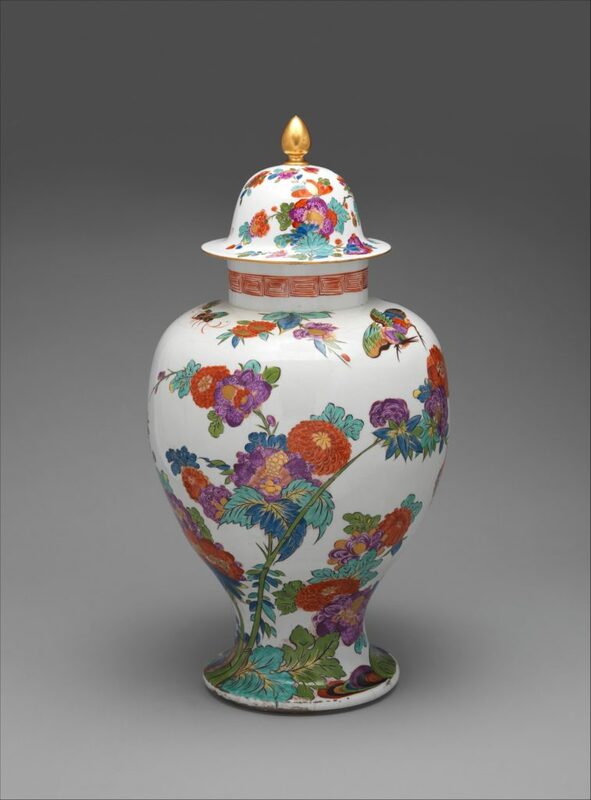 St Cloud vase and cover, c.1695-1710. Metropolitan Museum of Art. 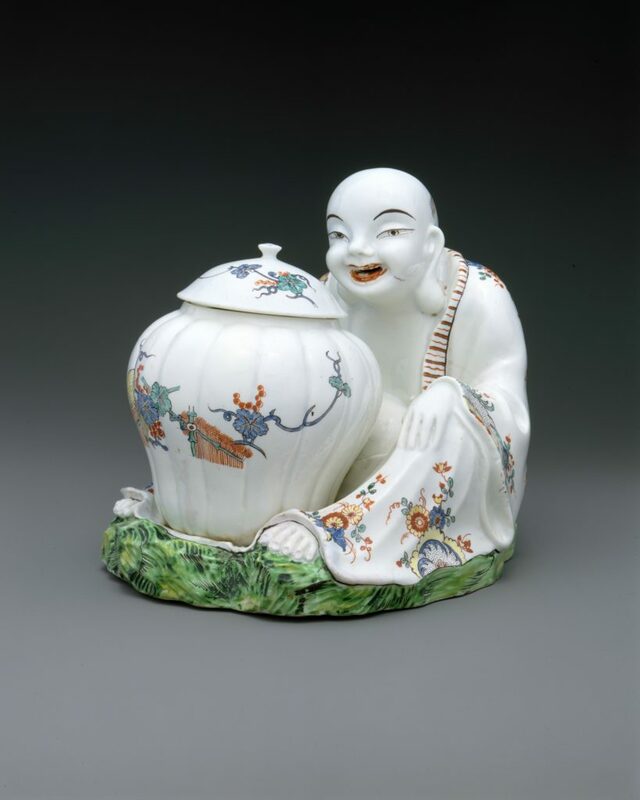 Chantilly, oriental figure with jar, c. 1735. Metropolitan Museum of Art. 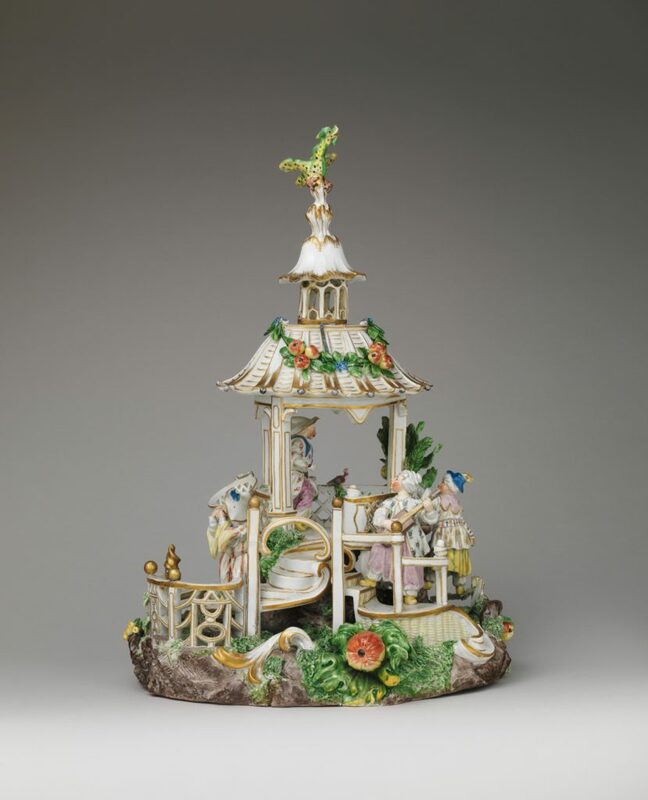 Mennecy fountain and cover, c. 1745-50. Metropolitan Museum of Art. 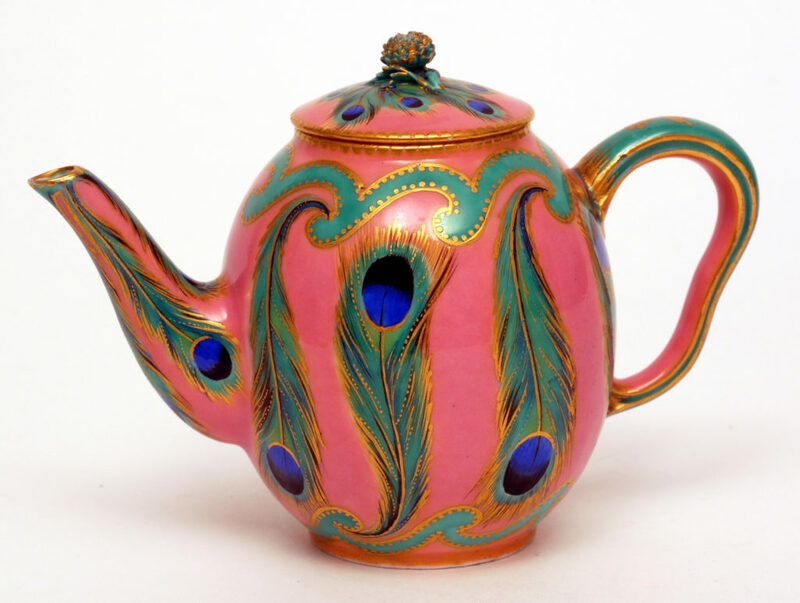 Sèvres teapot painted in enamel colours and gold, 1758. Bowes Museum, Barnard Castle. 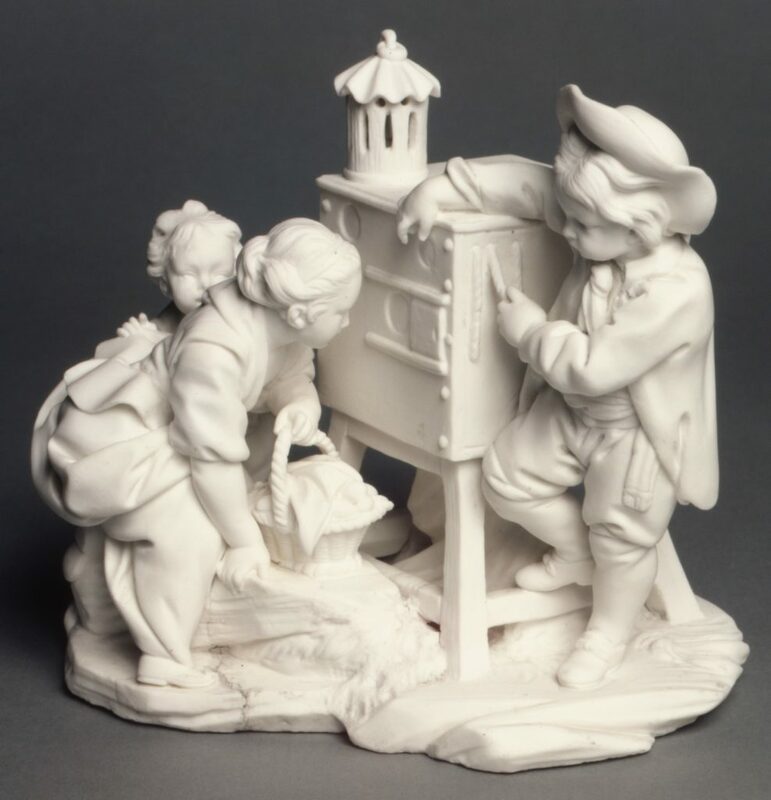 Sèvres biscuit porcelain, The Magic Lantern, c. 1760. Metropolitan Museum of Art. 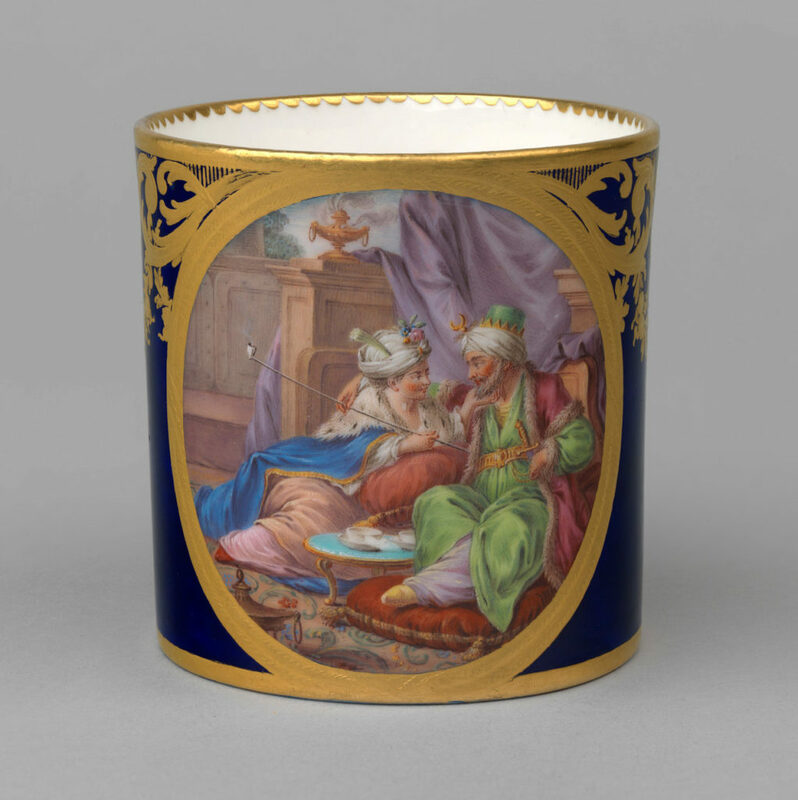 Sèvres cylindrical cup (gobelet litron), painted by Charles-Nicolas Dodin, 1779. Royal Collection Trust/ © Her Majesty Queen Elizabeth II 2017. 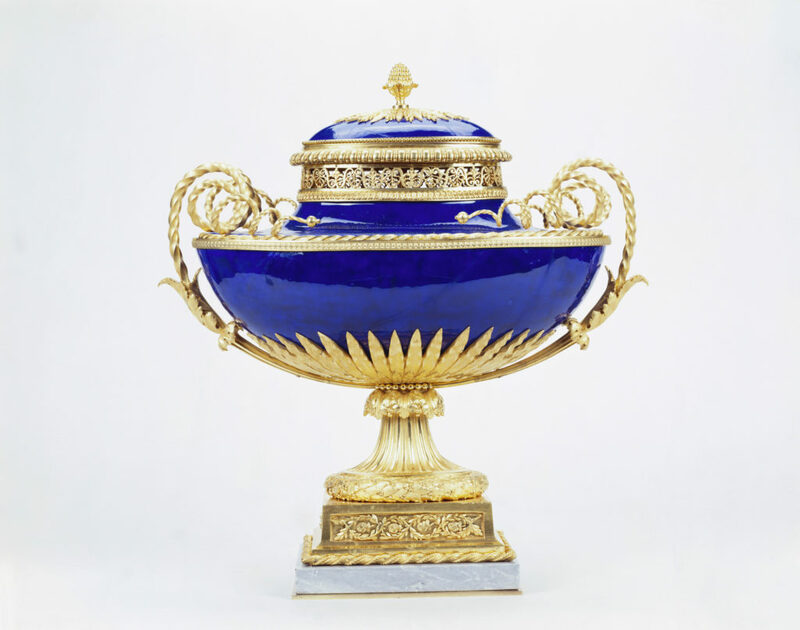 Sèvres wine-bottle cooler (seau à bouteille) from the service made for Catherine II in 1778-9. © The Wallace Collection. 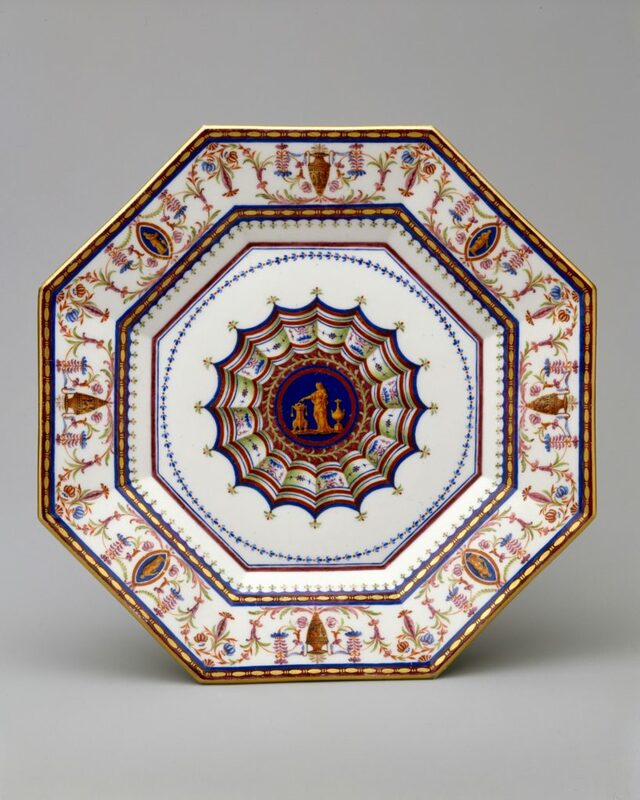 Sèvres assiette octagone from the neoclassical Service Arabesque, c. 1783-5. Metropolitan Museum of Art. 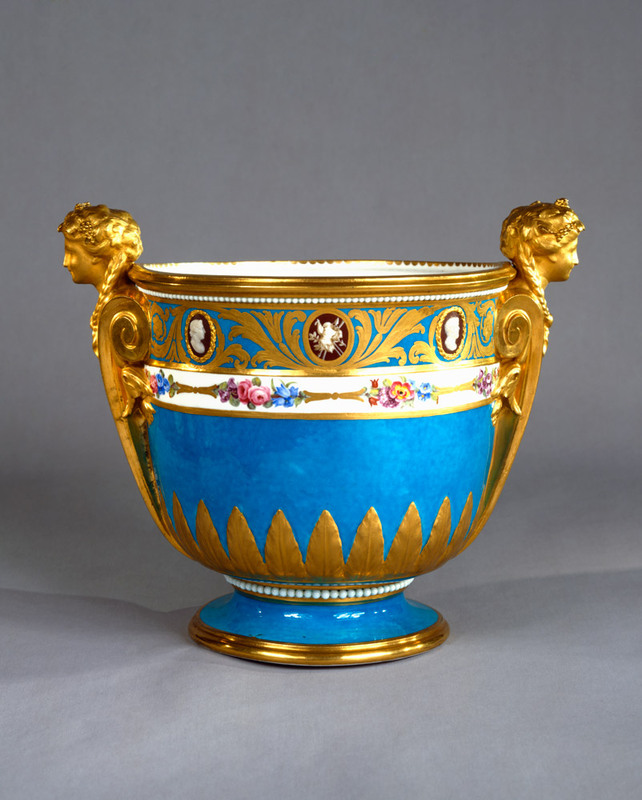 Sèvres vase Daguerre ovale, one of a pair, mounted in gilt bronze, c. 1785-6. 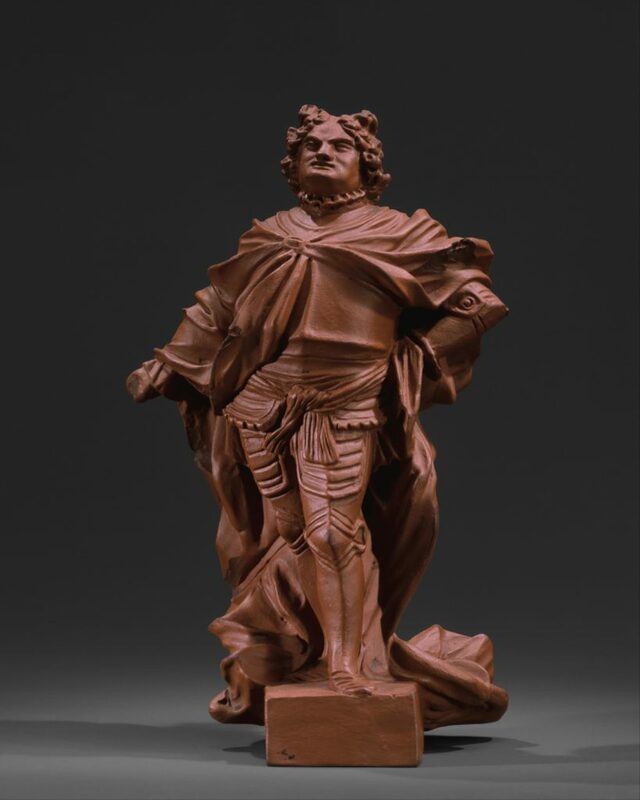 Meissen Böttger stoneware figure of Augustus the Strong, c. 1713. Metropolitan Museum of Art. 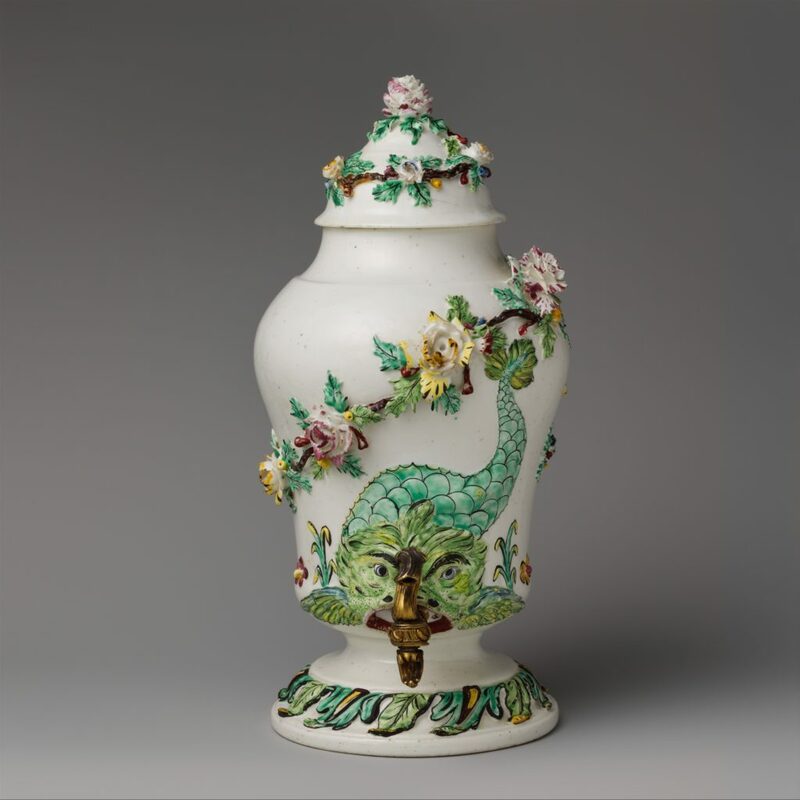 Meissen Augustus Rex vase, c. 1725-30. Metropolitan Museum of Art. 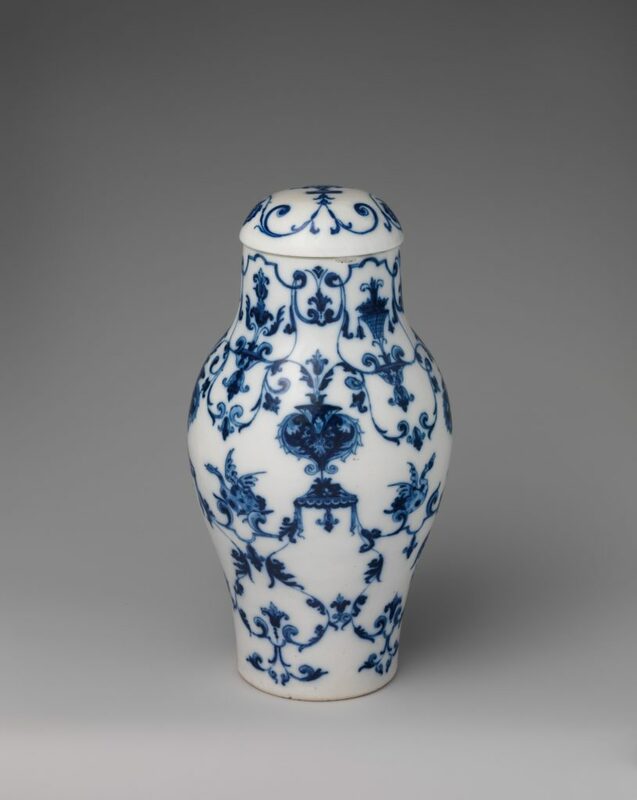 Du Paquier vase, c. 1725. Metropolitan Museum of Art. 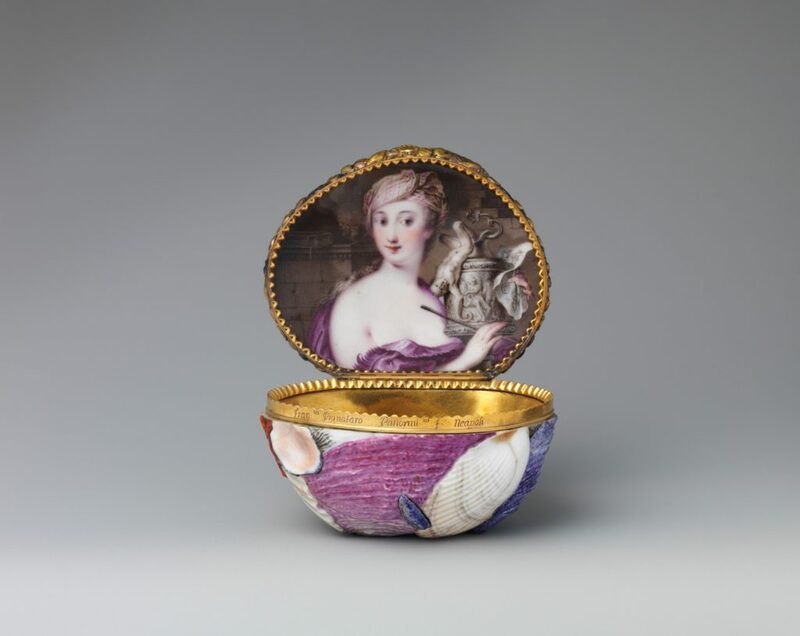 Capodimonte snuffbox, c. 1745-50. Metropolitan Museum of Art. 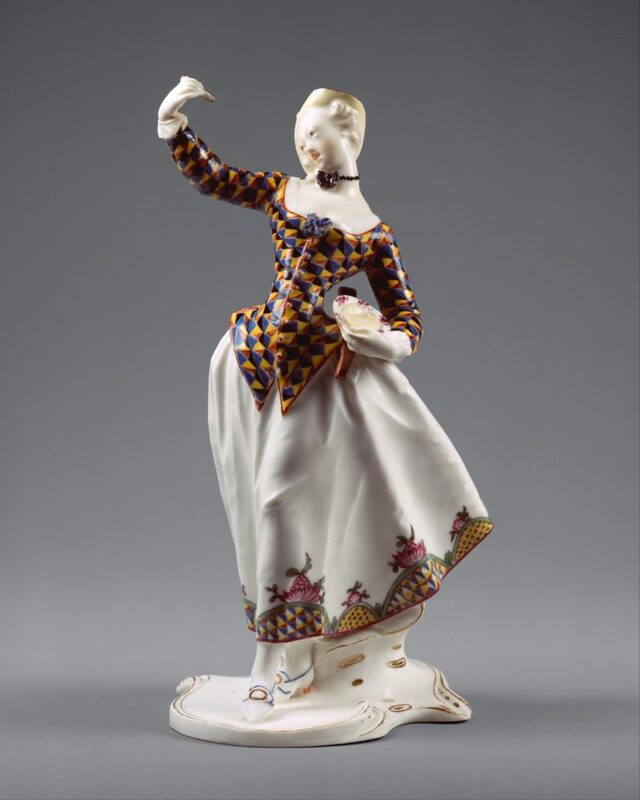 Nymphenburg figure of Harlequina modelled by Franz Anton Bustelli, c. 1763. Metropolitan Museum of Art. Frankenthal Chinese Pavilion, c. 1770. Metropolitan Museum of Art. 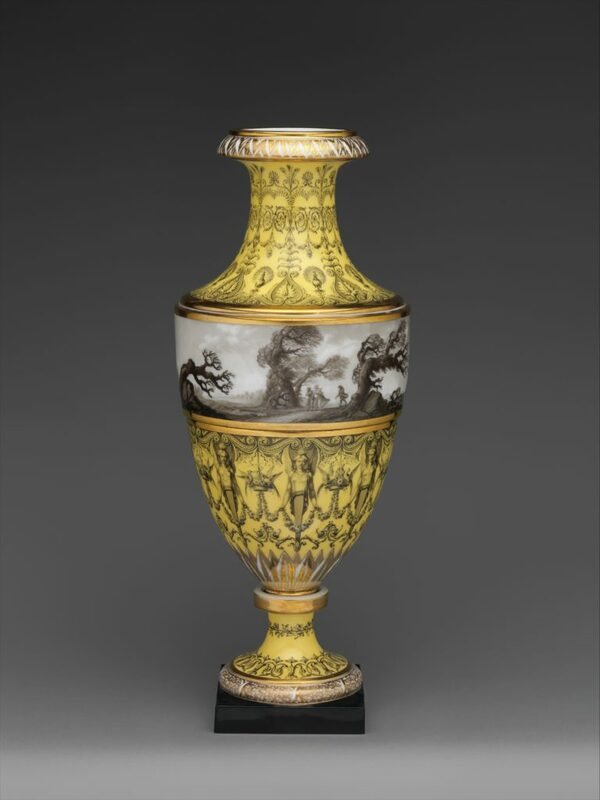 Dihl and Guérhard vase with scenes of a storm at sea, c. 1790-95. Metropolitan Museum of Art. 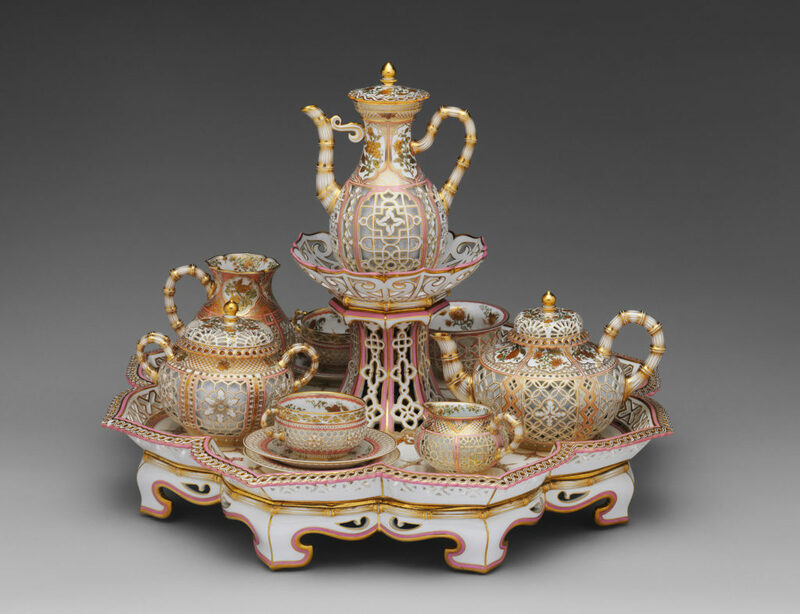 Sèvres coffee and tea service with openwork decoration (déjeuner chinois réticulé), 1855-61. Metropolitan Museum of Art. 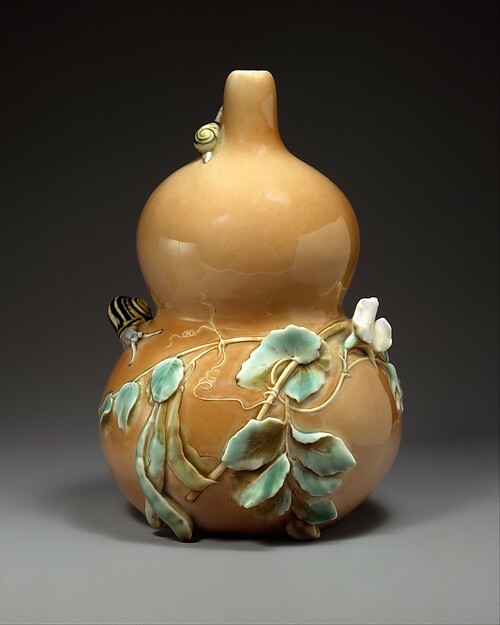 Sèvres vase designed by Léon Kann, 1900. Metropolitan Museum of Art.